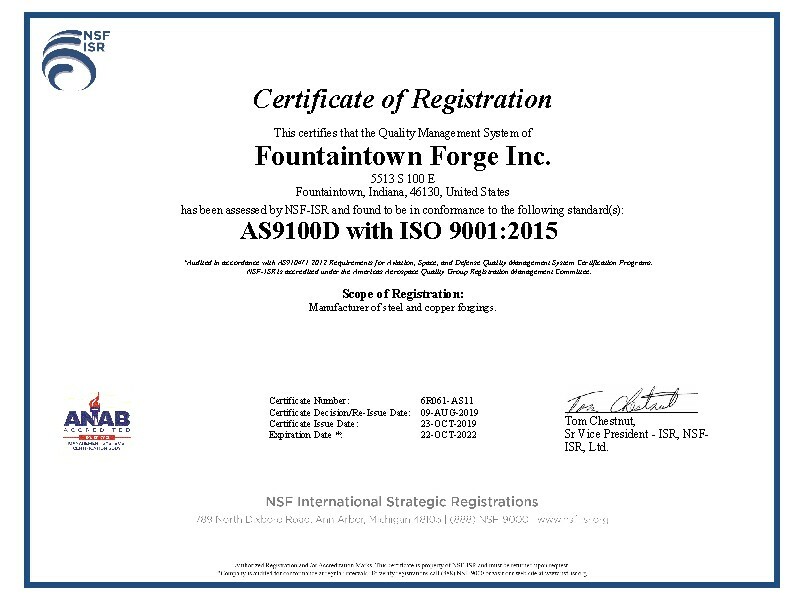 Fountaintown Forge is AS9100D with ISO 9001:2015 Certified as a Quality Custom Forgings Manufacturer of Aircraft steel and copper forgings. 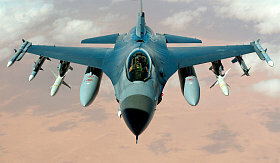 These are strict standards of quality that have been developed in the world market place to insure that all companies that are ISO/AS follow the same quality guidelines. So when a customer looks at doing business with a company, they know what to except from a company that is ISO/AS registered. 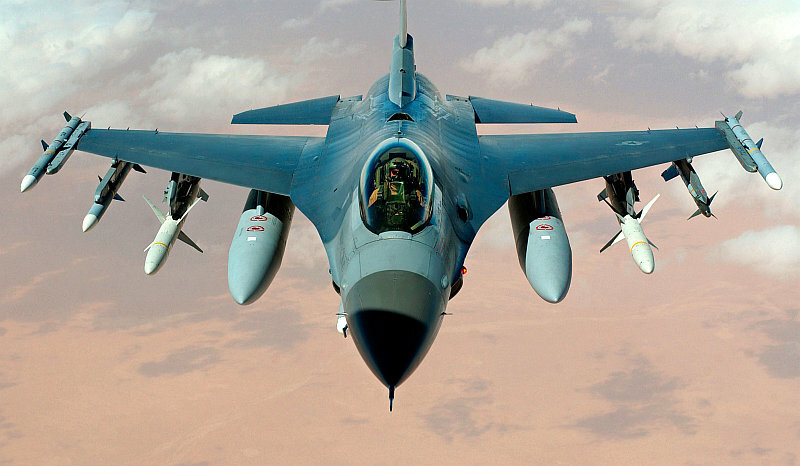 We constantly review and renew our quality guidelines to stay in compliance with the ISO/AS standards. 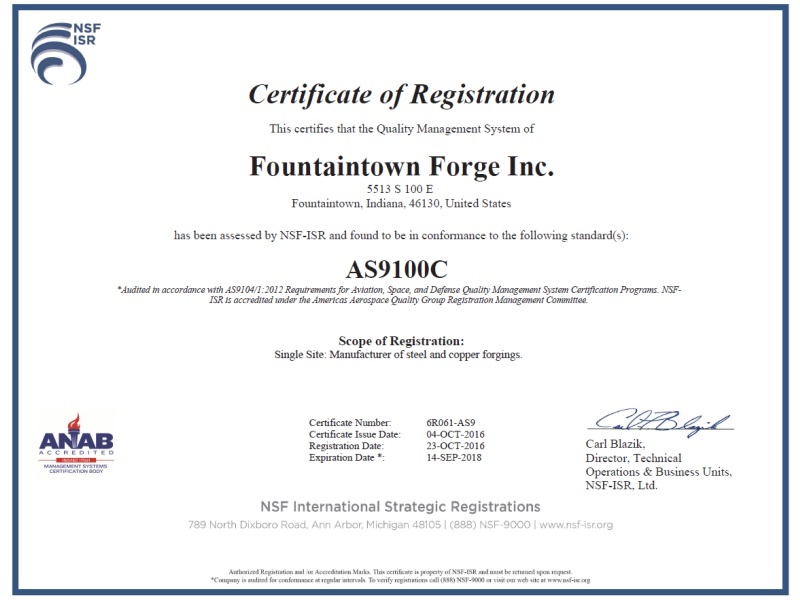 Fountaintown Forge Inc. was first registered ISO/AS in 1999.